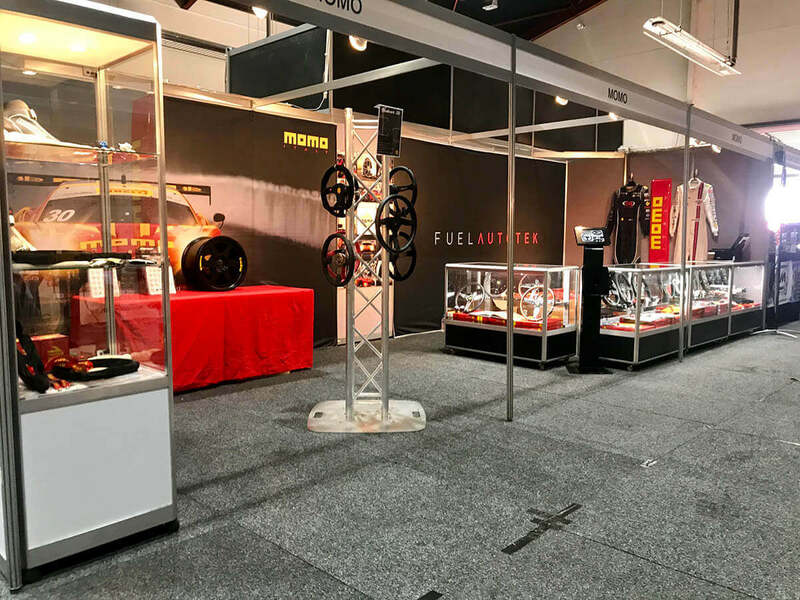 For the second year running the FUEL AUTOTEK team has enjoyed a fantastic weekend in Canberra for the Summernats festival, displaying and selling all of the latest and greatest range of MOMO products. The MOMO stand took pride of place in the Rare Spares Pavilion, which drew strong crowds throughout the weekend due to the diverse range of products on display, and of course the air-conditioning! 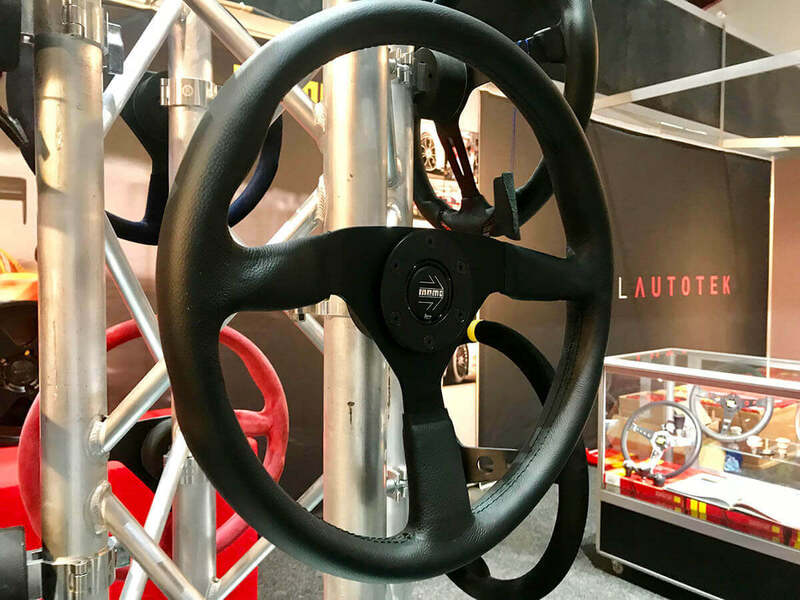 Among the products on show at the MOMO stand were the latest range of MOMO steering wheels for the street and track, as well as gear knobs, motorsport products and accessories, and the flagship MOMO Heritage 6 flow formed alloy wheel. Taking centre stage on the stand was the first of a very limited run of MOMO Montecarlo 380 steering wheels, made famous by the HDT/Peter Brock enhanced VK Commodores. This new version of the Montecarlo 380 enjoyed its official launch during Summernats, providing the first opportunity for Australian enthusiasts to see, touch and feel the steering wheel, and place a pre-order. The Summernats action of course extended well beyond the Rare Spares Pavilion. On a typically stifling hot weekend, the event drew in more than 100,000 spectators to Canberra along with more than 2000 modified cars. 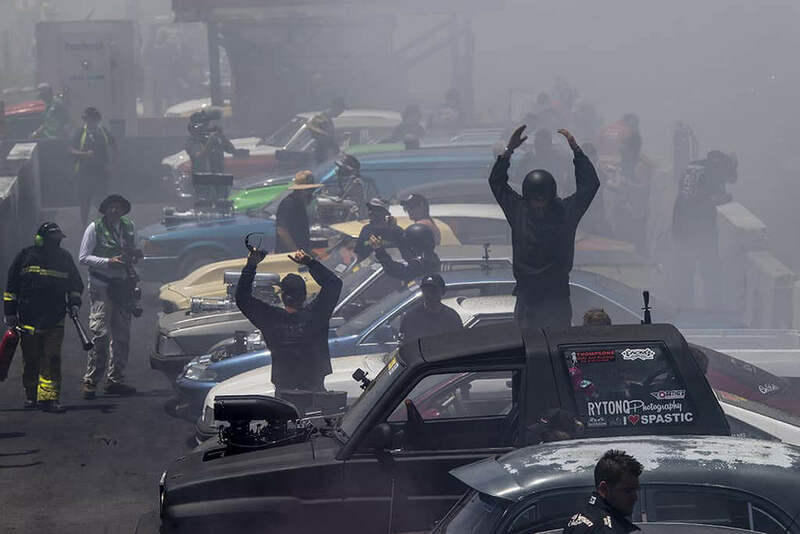 It was only fitting that Summernats was the location of a Guinness World Record setting burnout. Breaking the record (119) previously set in Saudi Arabia, 126 cars lit up their rear tyres at the annual event at the weekend, making for a spectacular display of noise and smoke. 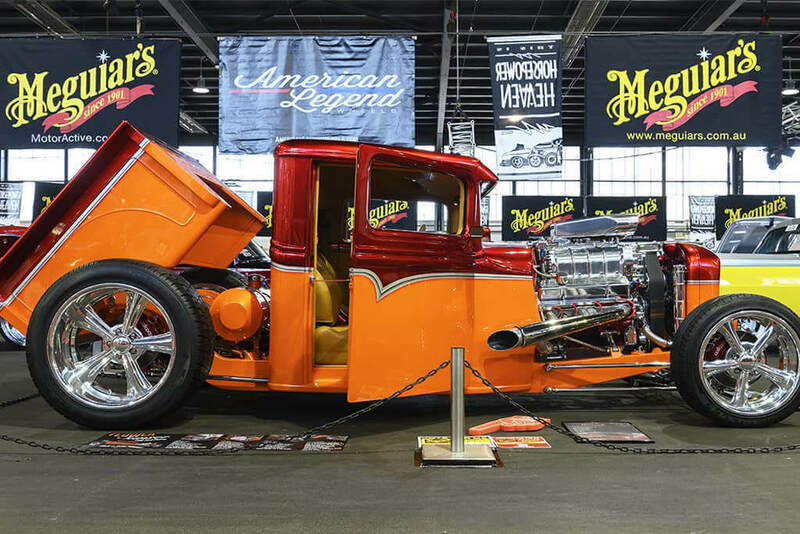 Rick Werner from Nerang, QLD, picked up Grand Champion honours at the event with his immaculate 1932 Ford hot rod pick-up. Werner spent more than six years working on the project, including three weeks alone completing the final detail work. Meanwhile, an injected Ford Mustang took out the equally sought-after Burnout Masters, at the hands of Jake Myers. The winner of the dyno competition for street-registered vehicles was Brenden Medlyn’s 1984 VH Holden Commodore, with 2483rwhp. A new outright horsepower record was also reset today by the Castle Hill Performance VT Holden Commodore, which churned out a mammoth 3076.9hp. A huge thanks to all of those that attended Summernats 32, particularly those that took the time to visit the MOMO stand and chat with the FUEL AUTOTEK team. 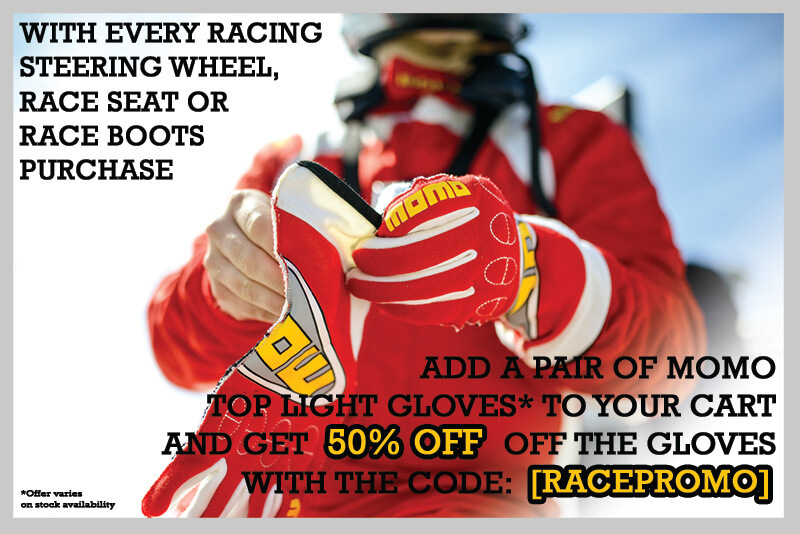 We’re already looking forward to attending Summernats 33!